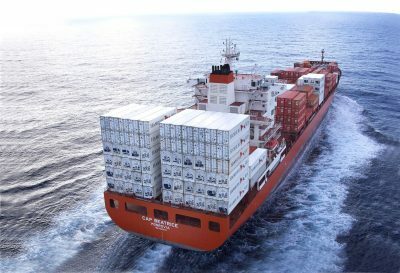 New legislation introduced by the Federal Government into Parliament yesterday is designed to provide a ‘one-stop shop’ for rules governing the export of agricultural goods. Agricultural exports accounted for around $48 billion to the Australian economy in 2016‑17. However, this industry is currently overseen by 17 Acts and more than 40 legislative instruments. This includes legislative instruments which regulate the export of fish, eggs, dairy, beef, lamb, goat, rabbit and pig meat, poultry meat, wild game meat, ratite (emu) meat, live animals (including live-stock), and plants and plant products. Deputy Prime Minister and Minister for Agriculture and Water Resources, Barnaby Joyce said the legislation would help to minimise the cost of doing business for exporters and farmers, as well as continue to provide the robust regulation expected by our trading partners. “We need something more coherent in place so that the rules for exporting are simpler and easier to understand and comply with,” Mr Joyce said. The Bill has been developed in consultation with industry representatives, state and territory governments and overseas trading partners. The government will continue to engage with industry stakeholders in developing the rules which will support the Bill over the course of 2018-19 as well as ensuring there is no impact on existing business practices. Tony Mahar of the National Farmers’ Federation welcomed the introduction of the Bill and the Coalition Government’s commitment to reducing red tape and creating a better business environment for agricultural exporters and farmers. “We look forward to the Government’s ongoing stakeholder consultation to ensure the rules and policies that support the Bill provide the best possible system that is tailored to each commodity group,” Mr Mahar said. Assistant Minister for Agriculture and Water Resources, Senator Anne Ruston, said the new legislation will provide exporters more opportunity to innovate and the confidence to pursue lucrative export opportunities, particularly for new and emerging industries. “This Bill ensures that Australian agricultural exports can continue to capitalise on international markets opportunities and meet the challenges that come with changing consumer preferences,” Minister Ruston said. Assistant Minister to the Deputy Prime Minister, Luke Hartsuyker, said there will be no change to Australia’s commitment to meet the importing country requirements of our trading partners.